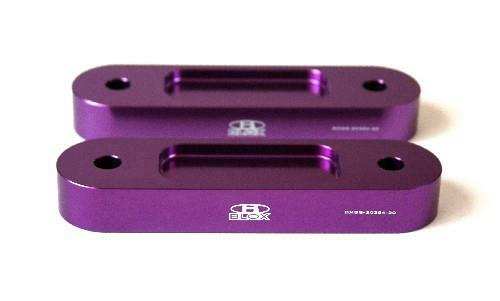 The BLOX Racing 12mm front bump steer kit is highly recommended for lowered Honda S2000s. When lowering the vehicle, the factory steering tie rod geometry becomes altered and causes wheel “tug”. Installing the BLOX Racing front bump steer kit helps correct the geometry back to its ideal position.